In a world of plugin emulations and computer algorithms for modelling different aspects of music production, microphone modelling has been one of the last areas to catch-up. This is probably partly due to the requirement of a very clean and neutral sounding microphone to begin with. This microphone can then be considered your ‘control’, upon which the emulation process can be applied. 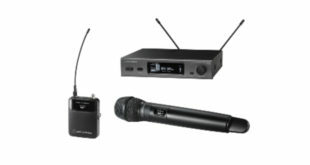 Designing and manufacturing these ‘base’ microphones obviously comes with its own challenges, but it now seems there are a few players on the market who believe they are able to do it cost effectively. There’s no point trying to emulate a $10k microphone if it costs $10k to build. There’s no hiding away from the fact there are two solutions everyone is raving about. 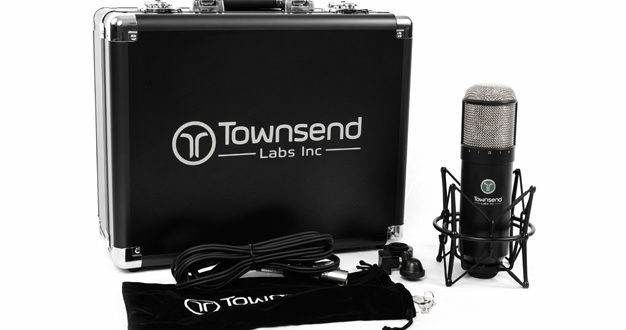 First there was the Slate Digital Virtual Microphone System and this, the Townsend Labs Sphere L22. Slate announced their solution in 2014, which set the precedent in terms of ability and price point. Although the VMS is still highly regarded, it doesn’t reflect the differences in polar pattern and the proximity effect, from mic model to mic model. This was something I pointed out at the time, and was therefore very smug when Townsend Labs dropped the Sphere L22 into the mix only last year. I have been itching to try this truly revolutionary product since it’s launch, and welcomed the opportunity to carry out this review. 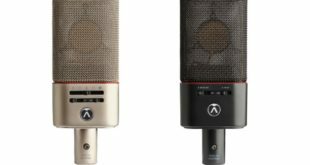 Unlike the VMS which comprises of a microphone, pre-amp unit and the software plugin, the Sphere L22 mic is the only hardware you need alongside the plugin. One of the Sphere L22’s party pieces, is the dual diaphragm capsule. This is of course how Townsend Labs have been able to re-create different polar patterns and the ability to vary the proximity effect and axis shift. They have achieved this by setting the two diaphragms a known distance apart and then the software plugin combines the two signals via a series of algorithms. This can also provide a secondary purpose as a stereo micing option, but with just one mic. Townsend Labs recommend using a Universal Audio Apollo or Quartet interface, or any other digitally controlled pre-amp. The idea is you can easily set the same gain for each side of the capsule. 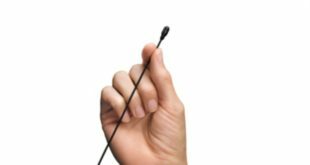 The microphone comes with a cable that splits the connection to two XLR connectors. You can also use the microphone with other pre-amps that aren’t digitally adjusted or have precision analogue stepped gain, by using the systems calibration mode. To do this you simply engage the ‘cal’ button on the side of the mic, which sends the signal from the front capsule down both connections, allowing you to set the gains accordingly. The plugin can fine-tune this automatically too, so it’s as accurate as possible. While this is a very simple and clever solution that permits the use of any pre-amp you wish, it does remove the ability to ride the pre-amp gain during a record pass. You can of course ride the gain with digitally controlled pre-amps that are linked, but if you used two 1073’s for example, you would want to set it and leave it. I think this is a small trade-off as it’s rather impressive that this system will allow you to use any pre-amp. The Sphere L22 itself comes in a reasonable flight case with a shock mount and a simple mic stand clip included. The build quality of the case isn’t going to win any awards but certainly does the job. The microphone however is very well made. It’s quite large in size, but I think that helps it look professional in front of potential sceptics. One feature that might sound like a gimmick until you see one in the flesh, are four white LEDs that light up the inside of the capsule when you apply phantom power to both channels. This actually looks really cool and adds to the impression that this is a scientific tool from the future. The plugin which is available in AAX, UAD, VST3 and AU formats, comes in two options. There’s the mono option for when you’re using the microphone as you would any single microphone, and a stereo option when you want to use the Sphere L22 side-on for stereo applications. In both cases, Townsend Labs recommend setting up a stereo channel in your DAW with the Sphere plugin loaded at the beginning of the chain. This obviously applies the microphone modelling before any other processing you want to do. The smart part of this arrangement with the mono plugin, is that it will act as a 2-in, 1-out effect process. This allows mono plugins to be applied after it, as you would if using the real deal. The LEDs that light up inside the capsule add to the impression that this is a scientific tool from the future. The plugin is well laid out and simple to use. You can simply flick your way through the various mic models available, listening to the difference in real-time. There’s a good selection of microphone models available and although they can’t legally write the model of mic, which is being emulated, it’s pretty obvious. Besides the obvious tonal differences between the models, the changes in polar pattern between each model is remarkably noticeable. What’s more, the position of the microphone to the source appears apparently different between the models. This is exactly what I was hoping the Townsend Labs solution would offer, harking back to the art of using different mics, for different sources, on different records. The plugin then gives way to three stand-out features. Firstly, thanks to the dual diaphragm capsule and the algorithms Townsend Labs have calculated to simulate different polar patterns, via a dial on the plugin you can take any mic model through any standard polar pattern shape. There is everything on offer from omni, through cardioid to figure-of-8. The known polar patterns for that mic model are highlighted in blue, but you can still simulate an SM57 with a figure-of-8 pattern if you wish. Incidentally, this proves quite effective on an electric guitar cabinet. Secondly, there is a proximity dial which is worth the investment alone. This has to be the easiest way to achieve that really close vocal sound which is so often desired today. Have your vocalist sing close to the mic and then dial the proximity parameter to 100%; it’s as if they’ve stepped right in between your ears. The secondary use that Townsend Labs describe this parameter useful for, is matching any proximity differences between takes. For example, you might do a drop-in that is artistically perfect, but frustratingly the singer wasn’t in the same place on the mic. 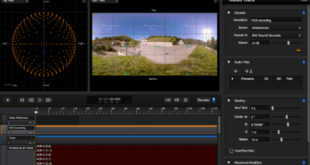 The proximity and axis parameters can help match the drop-in to your main take. This brings me on to the third feature that I believe makes this product so credible. All the processing and adjustment made around the mic modelling can be done in post production. This means you don’t have to choose the correct microphone at the point of recording. Just set-up and start tracking to capture any creativity happening at the time. Then at a later date, go back and choose the right mic for that vocalist on the track in question. A true sense of “fix-it-in-the-mix”. Looking ahead, I would of course love to see some more microphones modelled with this system. There’s a fantastic selection at present which won’t disappoint and I’m sure Townsend Labs are working on some more. Personally, I’d love to see some more dynamic mics modelled, such as an SM7, MD421 and an RE20. I’d also like to see some more small-diaphragm condensers modelled such as DPA’s or a 184. There is an argument for a small diaphragm version of the Sphere L22. This isn’t necessarily due to the physics of small diaphragms as they’ve already proved this dual diaphragm system can simulate smaller capsules, but for the practicality of placing such a large mic in some scenarios. Modelling any sonic device, from guitar cabs through to classic hardware EQ’s and compressors is always going to be subject to personal perception. For example, not one U47 I’ve heard sounds the same as the next. This is apparent with the Sphere L22, but this in itself is testament to how acute this system is. I have discovered some new favourites within the Townsend Labs mic locker, which sound every bit expensive as the originals.